Coming home with your little bundle of joy is a wonderful and beautiful experience, one that you will only ‘remember’ months later when the exhaustion has subsided! It is absolutely essential to have as much set up beforehand as you can. If only I had thought to practice swaddling, something they didn’t even mention in my antenatal class. I did have all my bubs clothes washed and ready, the nursery set up and the baby monitor ready to go – this was all very useful three months later when she moved to her room. Meanwhile, it was a mad scramble to set up her bassinet in our room. It is entirely up to you if you choose to have baby sleeping in your room or in her nursery right away. I would recommend having a bassinet regardless. Even though it can only be used for the first three months, it was invaluable when we went out. You can take it with to your parents or friends houses and have somewhere safe and secure that baby can sleep – something they should be doing a lot of. SIDS recommends baby sleeping in their own cot right from the start, but they also recommend that cot be in your room for the first year. Our compromise was her in a bassinet beside our bed for three months, then into her cot in the nursery just across the hall once “mummy was ready” for her to move into her own room. But other moms I know had baby in the nursery straight away because they couldn’t sleep with a noisy, noisy baby in the room. Ours was not very noisy when newborn, but some can be very loud. When I was in hospital after having my bub I had to ask a nurse to show me swaddling over a dozen times before I ‘got it’. Don’t be afraid to ask, again and again, until you feel confident – about anything. Your time in the hospital is a chance to get as much as you can out of the nurses and midwives. Make sure you leave feeling at least a little empowered or you can get easily overwhelmed. The size of the swaddle is proportional to the baby. You can buy small swaddles for new borns. But, newborn swaddles will not last long before bubba grows out of them. I recommend just buying larger ones, as the excess can be wrapped around smaller babies a few times for more security and layers. You can fold the swaddle into a triangle (if you intend to tuck the bottom inside) or leave it as a square. I prefer to leave as a square as per the way SIDS demonstrates swaddling. Place baby so their shoulders just line up with the top, because you want the swaddle far away from their face when finished. I don’t put baby in the middle but slightly to one side, so one side is longer than the other. Take the shorter length and wrap around and under baby, angling down so the side you tuck is lower on their body than where it started (not straight across). Take the longer side and tuck across like you did the first, baby should look like they have a v-neck shirt on. Now take the bottom, pull the sides out at an angle down and away. Then fold up over baby and tuck one side each under and around baby like you did the first two sides. Depending on the size of the swaddle it may only wrap around their legs or around their chest. 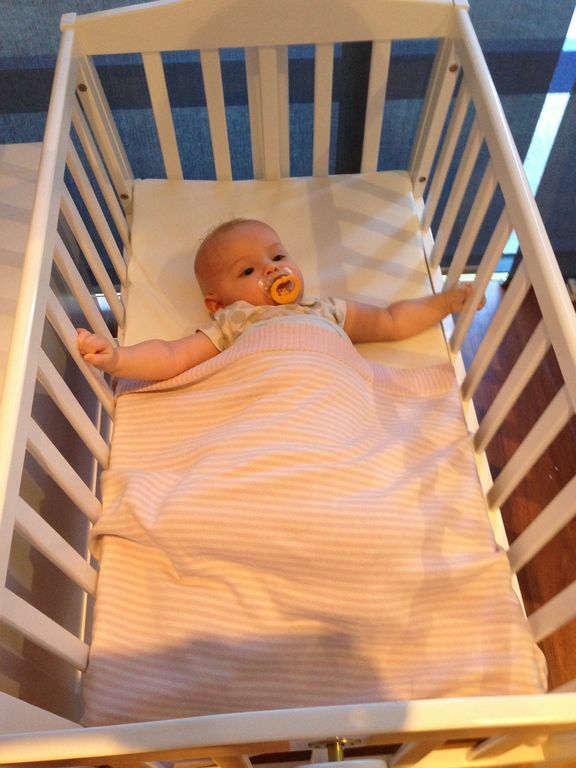 Once swaddled, place baby in their bassinet or cot with their feet touching the bottom. This is so they cannot wriggle down under and extra blankets. Swaddling gets tricky as baby gets older, because they may resist being swaddled or just be very wriggly. So I would hold baby down using elbows, spare hands, any way I could really. My baby was a little Houdini, and the best way to keep her securely in her swaddle was to hold her hands down once swaddled until she fell asleep. We were lucky and this didn’t usually take longer than 10 minutes after each night time feed. 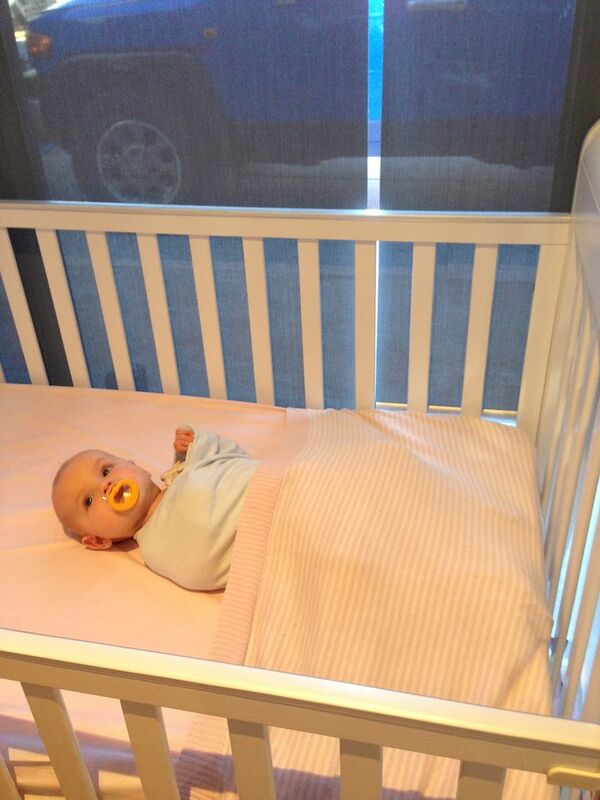 Sids recommends only swaddling until baby’s can roll or is 3 months old. But, you can still swaddle them with their arms out. Follow the same steps, but, leave wrap under their arms around their chest. Swaddling is very important because it makes baby feel secure, they have just spent nine months in very tight quarters. They are not used to being out in the open. Baby’s also have what is called a startle reflex, in their sleep they will jerk their arms and wake or frightens themselves – as they are not even aware they are ‘their’ arms jerking around. Swaddling is also warm and safe. 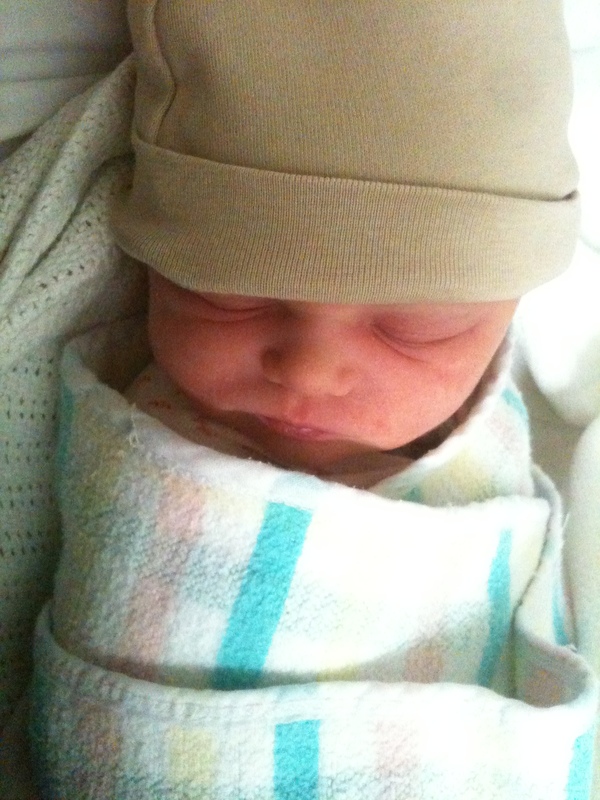 Baby cannot wriggle down under the swaddle, like they could a blanket, which would be a suffocation hazard. As they are wrapped tight they cannot wriggle out of their swaddle like they could a blanket and get exposed and cold. Tags: antenatal, Baby, hospital, motherhood, newborn, pregnancy, preparation, Quirky Bubba, safety, sleep, swaddle, swaddling. Bookmark the permalink. Thanks for the how to guide on how to swaddle. I was taught a different way over ten years ago and since then its change again (different to yours). There seems to be numerous ways to swaddle a baby, it all depends on what the parent is most comfortable with. They remind me of scarves and sarongs. So many people wear them so many different ways, but at the end of the day, as long as they are covering the body parts that need to be covered that is all that matters. Thanks for post. This is a really great post. You are right, if you are worried about something, ask someone. It’s better to be that annoying mum who asks 100 questions, than the mum who doesn’t care and somethings happens to the baby. Swaddling is a great way to soothe your baby to sleep. It reminds them of the 9 month holiday they spent in your womb.